If you're the kind of player who wants aggression and heaviness in your tone, then the Invader SH-8 Neck pickup from legendary manufacturer Seymour Duncan, can satisfy your needs. This pickup comes in white. 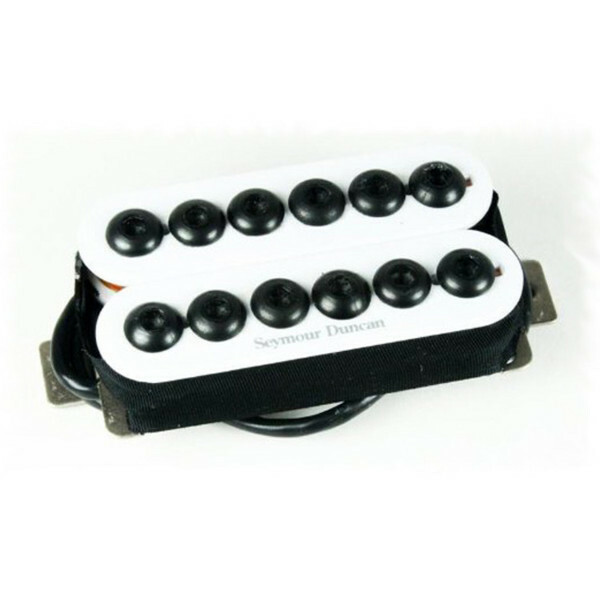 This passive pickup comes in white and is built for heavy tones, with a wide magnetic field which pumps power into the amp for a rawring sound. It boasts a combination of three ceramic magnets, over-wound coils and twelve black oxide cap screws which give it its power.